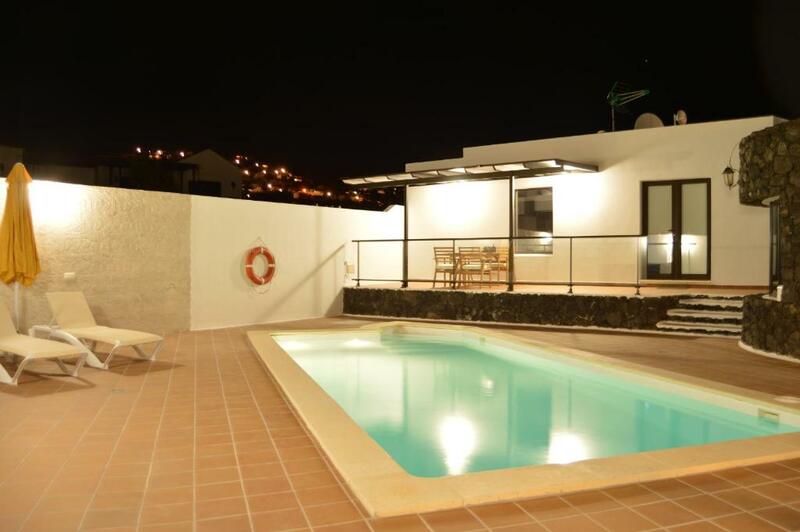 Perfectly situated in a very calm environment with a splendid view over the craters of the island. The very nice village of Teguise is 1 min by car. Very well equipped villa with a warm welcome from our host. Excellent welcome and service, with a great place that makes you feel at home in few seconds. Privacy in a quiet, yet accessible location. A car is a requirement but you're never far from places to visit. The house is perfect, with everything one can need on holidays and with lovely private swimmingpool. Everything was super clean on arrival, and the host was very nice and helpful. 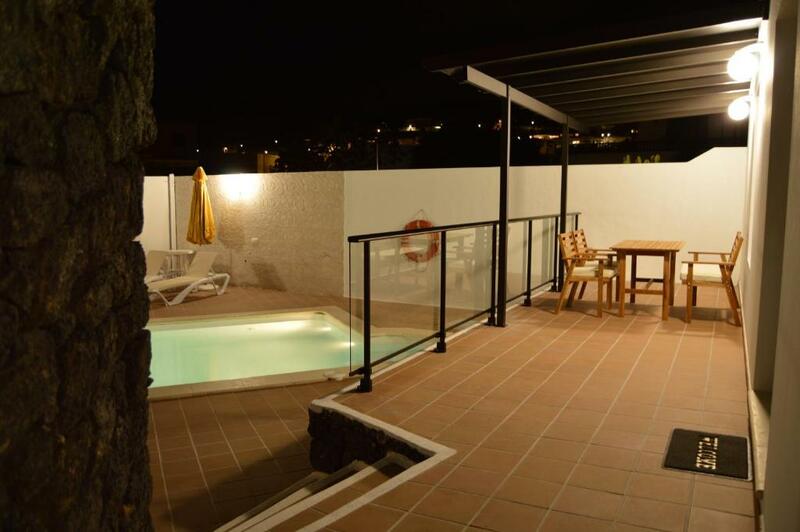 Exactly what we needed, if we come back to Lanzarote, we will book this property again! The pool was excellent and the villa was gorgeous. Villa was absolutely spotless. Ce séjour à la casa alba fut remarquable ! 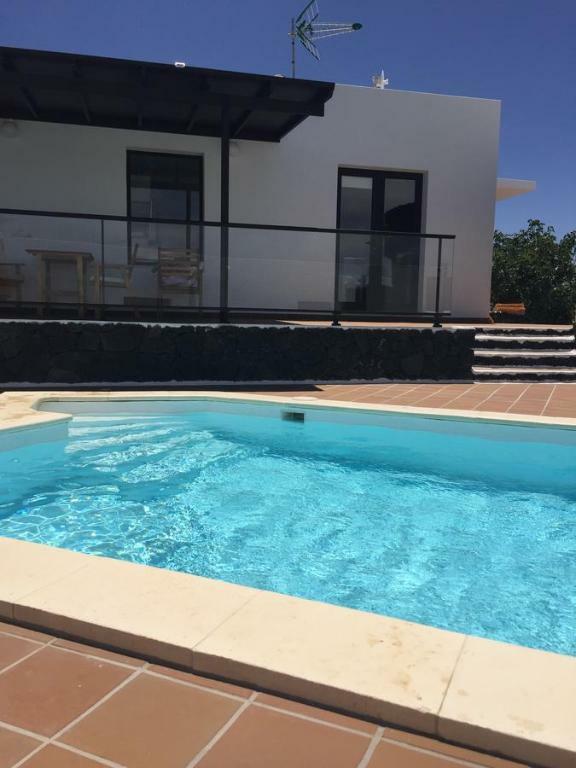 La villa est belle, propre et idéalement située pour sillonner lanzarote. Pour notre 1er séjour à l’étranger avec notre bébé de 9 mois, nous ne pouvions pas rêver mieux : lit bébé avec véritable matelas confortable préparé avec soin, chaise haute et même une baignoire pour donner le bain ! De plus, la maison est très bien équipée : wifi, machine à laver, fer, table à repasser, sèche cheveux, ... enfin, un accueil chaleureux et les cadeaux de bienvenue : fruits et vin. Un séjour merveilleux comme à la maison avec en bonus soleil et piscine ! Très bien, au calme dans le village de nazaret . Accueil sympathique, avec des attentions pour notre arrivée : fruits, café , vin de Lanzarote, eau ,etc ... C’était notre 2ème séjour à Casa Alba et nous y retournerons volontiers. Villa remarquable à Nazareth, endroit calme, pas loin de l’aéroport. Parking - intérieure. Wifi - impeccable. Une bouteille de vin et fruits nous été offerts à notre arrivé. Nous sommes très contents de séjourner ici, merci à nos hôtes. 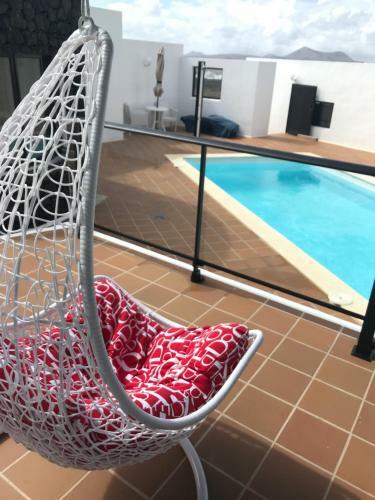 Lock in a great price for Casa Alba – rated 9.6 by recent guests! 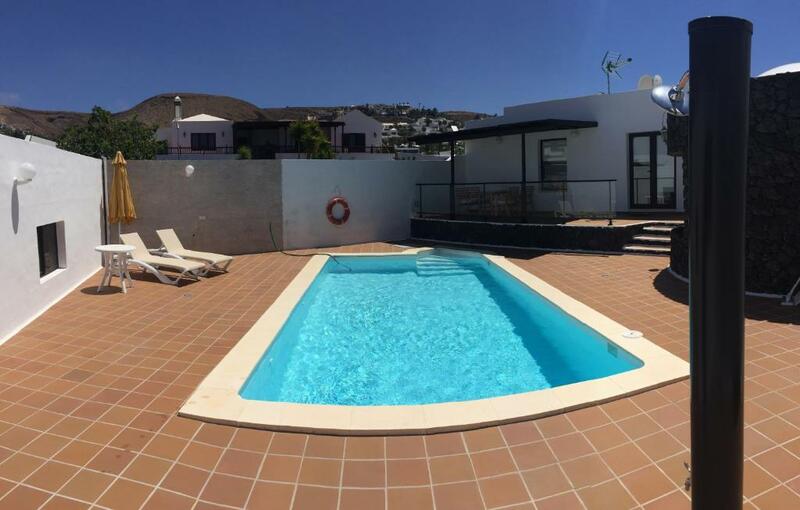 One of our top picks in Nazaret.Located in Nazaret, Casa Alba has a private pool and free WiFi. This vacation home provides an outdoor swimming pool. Composed of 2 bedrooms and 1 bathroom with a shower, this vacation home features a satellite flat-screen TV. The kitchen has an oven, a microwave and a toaster, as well as a coffee machine. 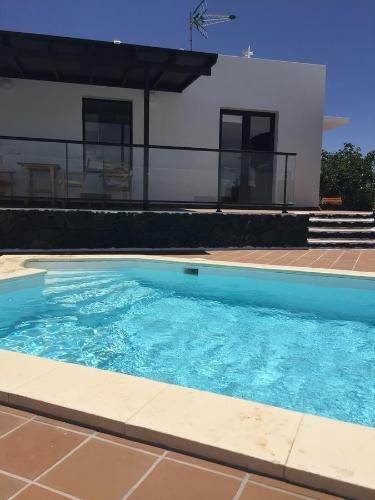 Puerto del Carmen is 15 miles from Casa Alba, while Playa Blanca is 29 miles away. The nearest airport is Lanzarote Airport, 10 miles from the property. 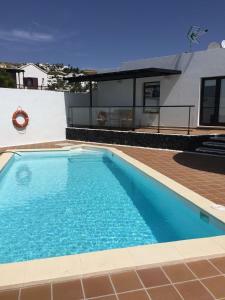 This property also has one of the top-rated locations in Nazaret! Guests are happier about it compared to other properties in the area. This property is also rated for the best value in Nazaret! Guests are getting more for their money when compared to other properties in this city. 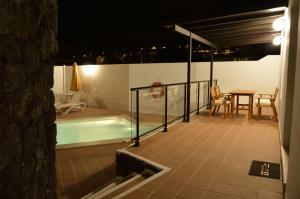 When would you like to stay at Casa Alba? 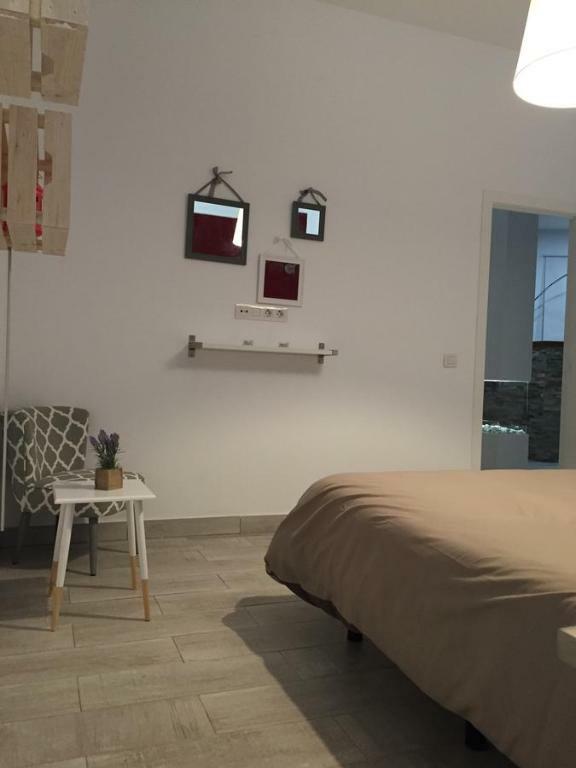 House Rules Casa Alba takes special requests – add in the next step! Please inform Casa Alba of your expected arrival time in advance. You can use the Special Requests box when booking, or contact the property directly using the contact details in your confirmation. Would have loved a heated pool, but then who wouldn't! Not really a gripe though. No English television channels, or maybe it was us not being able to find them on the satellite.